Premium Wooden Design – Feel the difference in the quality of design with the ultra-premium wooden design from Mesqool. It looks exquisite and will not only serve as a great Bluetooth speaker, alarm clock, and radio but will also fit in any contemporary interior room décor. High-Quality Sound – Connect your phone or tablet and play your favorite playlist. This amazing Bluetooth speaker produces crisp and loud high-quality sound. Sleek Multi-Color Lights – Want a great light effect in you room while you chill out? This sleek Bluetooth alarm can provide amazing RGB LED lights in different cool colors. 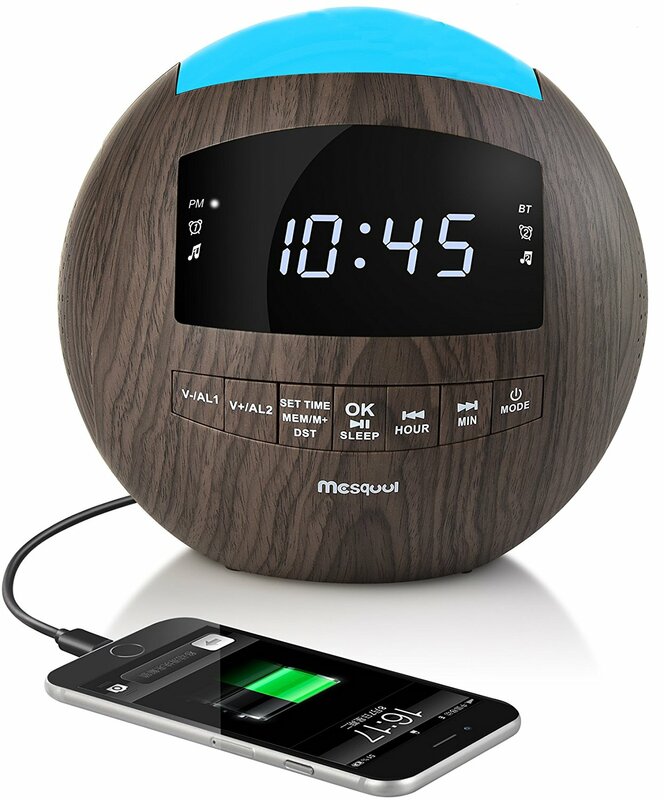 Great alarm and timer options – The Mesqool Wooden Bluetooth Speaker & AM/FM Radio has dual alarm option, sleep timer and ability to adjust the brightness of the screen. Great little Camera. I have owned several action cams and this is one of the best bang for the buck out there. Comes with some nice accessories and a case, although not the same quality accessories as a with a GoPro, but it's a fraction of the cost and they work well. I really like the case for the camera it is easy to open and close and feels sturdy. Having the 720p @120fps allows you to take HD SlowMo videos, and it also does 1080p at 60fps! 60fps allows for a really smooth picture even at speed and you just don't see that at this price. Unfortunately, it does only take up to a 32gb memory card and I wish it would take larger since it can record in such high definition. Finally unlike most of the less expensive Action Cams, the wifi actually works, and it has a decent app to take advantage of it. Go ahead and watch my video about the camera for more, as well as an unboxing of every accessory at the end. This camera is exactly as described! It includes all of the accessories and the carrying case that holds the camera and all of the accessories. While the technology is a little older than comparable brand name cameras, for the price, this camera is great. I used it underwater at depths of up to 82 feet and it took video and still photos without a problem. The waterproof housing has not leaked through multiple dives and dunks in fresh water. There are minimal buttons on this camera, which makes operating it and switching functions quick and easy, even when scuba diving or engaging in other activities. I would definitely recommend this camera to a friend or anyone looking for an action camera without the hefty price tag of the more popular brand. 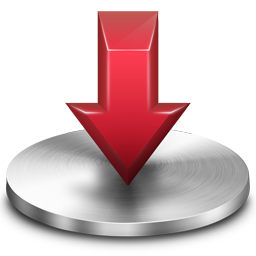 I received this product at a discounted price in exchange for an honest review. The camera works great. Both the camera and video features are excellent. All of the accessories and camera come in a nice case. The downside is that there are minimal instructions regarding what the accessories are for. I will probably buy a different accessory pack, because these accessories don't seem overly useful anyways. Also, the camera shell case was lightly scratched when it arrived. It doesn't affect the picture much, if at all, from what I've noticed. But a new product should not come scratched. The price is great! You can't beat getting a nice, sturdy camera line this for a price like that. So if you are looking for a cheap camera to mess around with for fun and don't want to commit to spending a few hundred on a GoPro, this will definitely do the job! I bought this a few days ago and I have mostly played around the house with it so I have not yet used it underwater which is the main reason I bought it. It is a nice looking camera and the case looks to be very sturdy with a tight seal (again, I have not submerged it yet). The video quality is much better than the still camera quality which is slightly disappointing as I am going to St. Thomas and I am hoping to get nice snorkeling photos so we will see and I will update my review after my trip. I am not a tech savvy person so it could just be me and I also have nothing to compare this item to but I find it a little awkward to navigate. I would like to be able to delete individual pictures/videos right from the device instead of the only option of formatting the card which deletes all the content. You can delete individual selections when you connect it to the computer. All in all for the price it's lived up to what was expected. 5 Star by: Lorraine R.
Full-featured and seems like good quality for the price. Took it snorkeling at "Two Step" Kona Hawaii. The HD 1080P resolution took AMAZING pictures of the pod of dolphins I swam with aswell as the sea turtles. Sleek Multi-Color Lights – Want a great light effect in you room while you chill out? This Bluetooth alarm can provide amazing RGB LED lights in different cool colors. Can the date/time stamping superimposed by the camera be removed via camera settings? Can you use without a smart phone? A: There is no option within the menu for image stabilization that I could find, so I assume not. Does it come with the black case that is pictured with the accessories? dose it come with the case in the picture? Can i upload directly to youtube or so i have to upload some other way? Can you buy extra batteries for this like you can for a real GoPro? A: It's not a GoPro, it's a sports camera with similar features, but yeah, it is included.